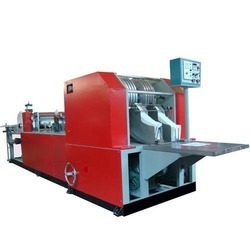 By keeping a close track on the fabrication, we are best in offering best and authentic quality collection of C Fold Towel Making Machine that are used for making towel in best manner. A towel making machine weaves the threads(here thick threads) into a guff and thick fabric which we call as towels. The towel machine works the same way as a weaving machine works. With honest intentions to improve the standing we have earned in this arena, we are offering a distinct collection of C Fold Paper Towel Making Machine. 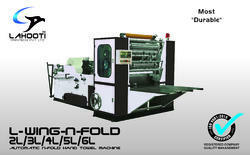 Application: This towel rolling machine is very effiicient in folding towels.Helps you cut labour costs. Towel Rolling Machine assists in folding the towels into rolls, speeds up packing process and reduces time, space and cost that goes into production and anufacturing process.